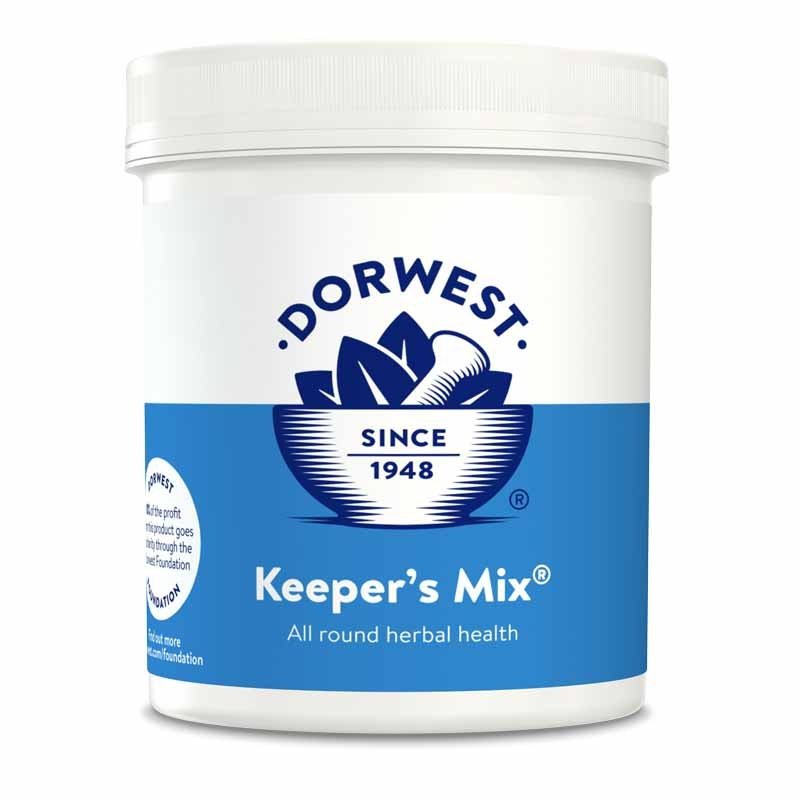 Keeper`s Mix is our official Foundation Product and 10% of profit from every sale during 2018 and beyond will be donated to the Dorwest Charitable Foundation - take a look at: https://www.dorwest.com/foundation/ for more details of the Foundation. Our Greyhound retiree had a very fine, very thin coat and was continually shedding while our Jack Russell has a long wiry coat that sheds all year round. I was looking to improve their coats and ensure that they are both getting all the vitamins and minerals they need. The result were almost immediate. The daily "tumbleweed" floating around the floors has reduced. Their coats are soft and silky, even the wiry one! After a couple of weeks there is a definite reduction in bald or thin patches on our greyhound. I don't know if it's my imagination but our terrier's eyes appear sparkly and much less runny. She has also lost weight which was needed.rnBoth dogs are the picture of health. I will definitely be continuing to add Keepers Mix to their breakfasts. The best customer service in a long time. rnI highly recommend the Keepers Mix for all raw fed dogs. Really helps but introduce slowly. 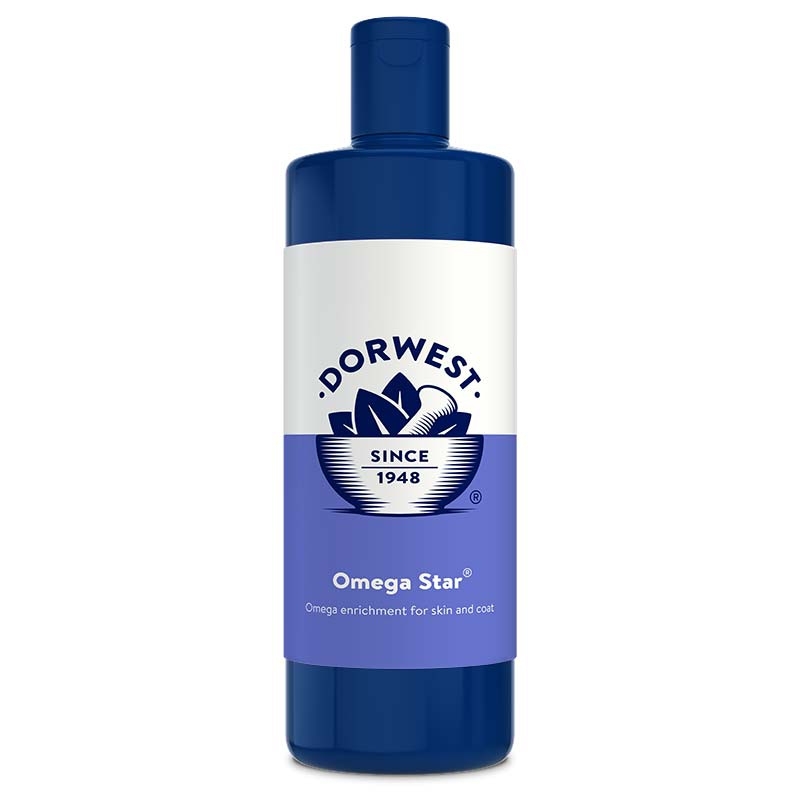 I ordered this & the Wheatgerm oil for my 6 & 10 yo dogs. Coats have improved very nicely in both dogs + they've been healthy & in good weight.rnI'm in the US, & the package arrived more quickly than I'd anticipated. Thank you!!! I Bought Keepers Mix for our 2 newly acquired Golden Retriever puppies 3 months ago. They were rescue dogs from the SSPCA and a bit underweight and in a poor condition. rnWhat an improvement, both now have healthy, glossy coats and are losing far less hair than before. rnThis product is not cheap, but is ideal for working dogs.rnHighly recommended. 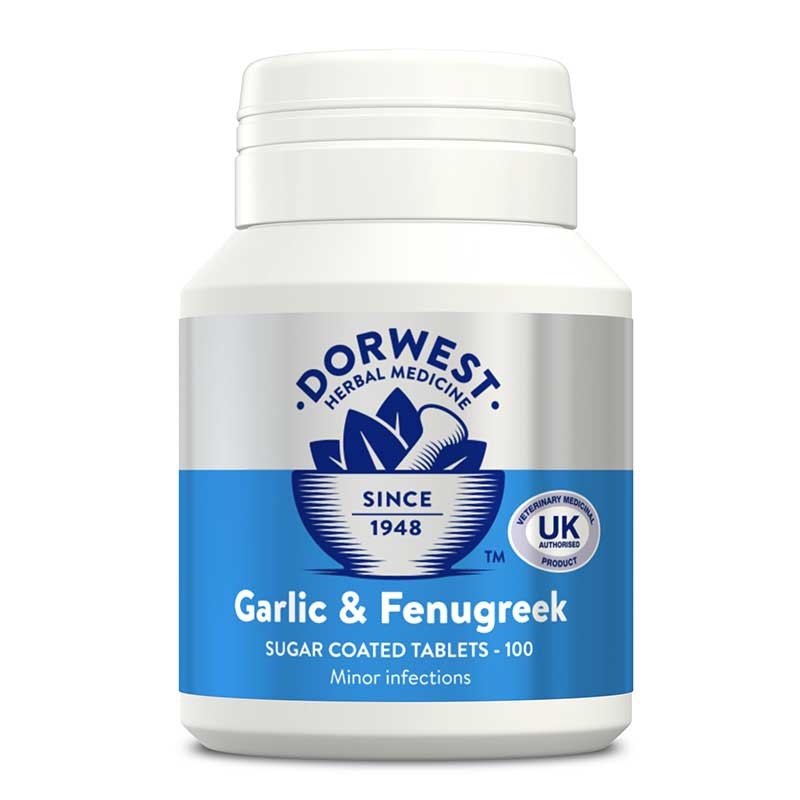 I’ve been using Dorwest Keepers Mix and Garlic & Fenugreek Tablets for 2 weeks now as my French Bulldog puppy who is 13 months has had quite a bad skin condition. rnrnI’m not sure what causes her condition, but I’ve changed her food to raw and mix in the Keepers Mix and Garlic & Fenugreek Tablets. The difference in 2wks is unbelievable and I'm so happy to be using these products. Keepers Mix has had a noticeable positive effect on my rescue dog's health. When she first came to me she had very coarse fur and shed a lot. She was also very underweight. 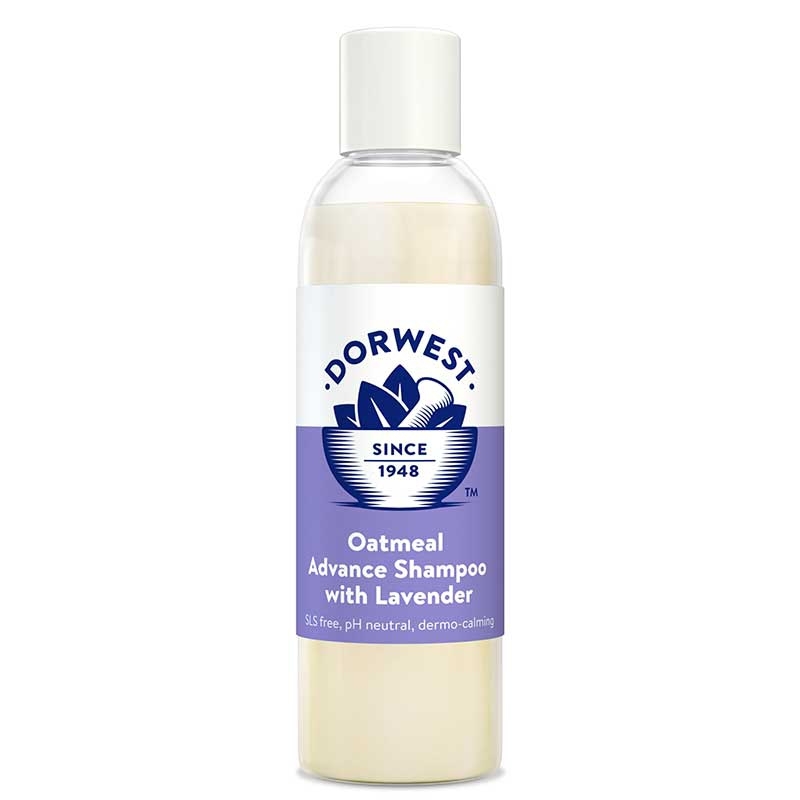 When I started using this on a regular basis her fur became so soft and shed a lot less. Her weight is a lot healthier and consistent and has so much energy. She's basically a different dog. I put this down in a large part to the nutrient boost she is getting from Keepers Mix. I'll be feeding my new rescue dog the same dose and look forward to seeing the upswing in health he so much deserves. My one year old lab x went on this in April she is atopic but since shes been on this we've had little skin flare ups and everyone comments on what a thick soft coat she's got! Ordered Keepers Mix on Thursday of Bank Holiday weekend arrived on following Tuesday. Great customer service and great product Keepers Mix supplements my raw feeding and my dog looks great. Acquired a new greyhound who had poor nutrition & keeping. New improved food slowly helped to turn him around but then his coat and other things started to deteriorate within a month and a half. Add in keepers mix for him (and my other greyhounds) equal a total turn around. It's hard to put in all the changes in words - but the pictures before and after really quantify it. My Shiba Inu Henry has had Keeper's Mix every day for the 4+ years he's been with me. Coat absolutely radiant and the healthiest dog I've ever known which I am convinced is due to KM and a raw diet. Thank you Dorwest! My corgi x was transformed within days of taking this supplement. Now full of vitality and looking forward to each meal - seems to love the taste. I have been using Keepers Mix for several years for general wellbeing but never realised how much it improved my Beagles' coats until I ran out and forgot to re-order for a month all my dogs started moulting like never before this stopped within 2 weeks of re-introducing Keepers Mix into their diet absolutely amazing product! If you haven't tried Keepers Mix yet do so. My old dog Zeke now at least 15 years old has been taking it since we got him from a rescue centre aged about 1 year. He was not in good condition but Keepers Mix soon turned that around. To this day people still comment on how thick and shiny his coat is and cannot believe how old he is. I wish there was a human version! I`ve used Keepers mix since 1989 and raised 5 puppies on it over the years who turned into healthy adult dogs my eldest Lab made 15 and had it in his feed everyday of his life. 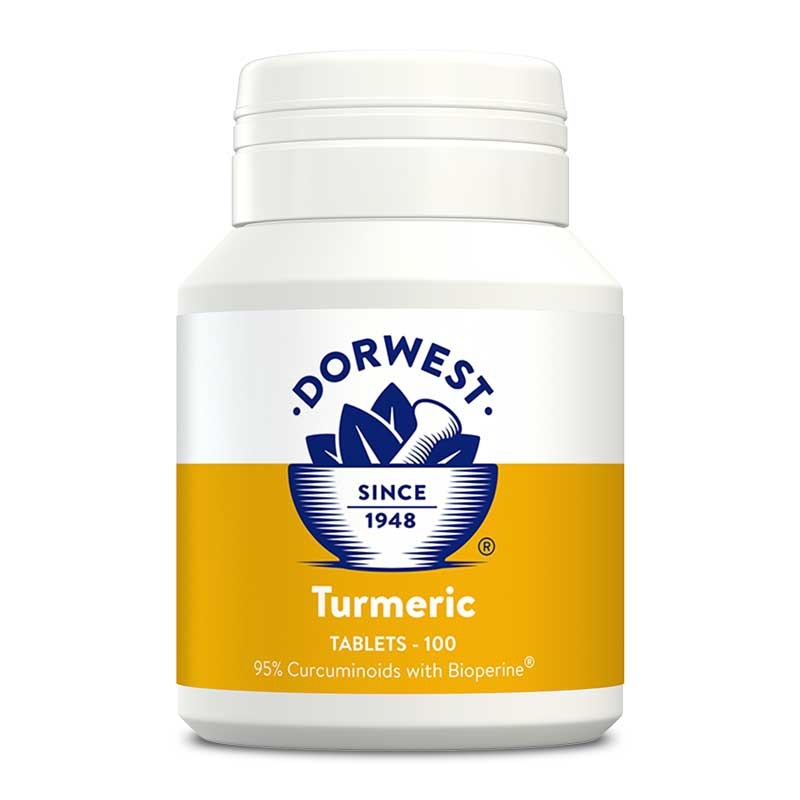 My all time favorite supplement that I would trust 100% to feed to my precious dogs. I have been using Keepers Mix for several years for general well being but never realised how much it improved my Beagles' coats until I ran out and forgot to re-order for a month all my dogs started moulting like never before this stopped within 2 weeks of re-introducing Keepers Mix into their diet absolutely amazing product!